With exciting colors and innovative fragrances, the Tropical Breezes are sure to appeal to bowlers of all skill levels. They all feature a proven Reactor reactive coverstock material that glides easily through the heads yet reacts down-lane to provide optimum pin carry. The Camber Core's inverted light bulb shape has real substance. And as it provides more predictability and control than the Tropical Heat, it's the perfect complement to the Tropical line. I just love it just being a beginner and it's a lot of fun! I'm by no means a pro, but this ball pretty much does what I need it to and has worked well for me. This was a gift for my 6 year old daughter! She is in LOVE with her ball and it works GREAT for her! The Storm Tropical Breeze line is all u really need for bowling house shot. So much ball for the price. Definitely pick one up for you're arsenal!!! Bought the ball for my girlfriend she has enjoyed it so far. It's a perfect addition to our arsenal. My husband bought me this ball for my birthday several years ago..I was using a 10lb plastic ball and he said I needed a better ball with more weight so I would mix the pins more...after getting this ball my average went up 40+ pins in just a few weeks. Last year I competed in in the state senor tournament and came out #1 in all events. 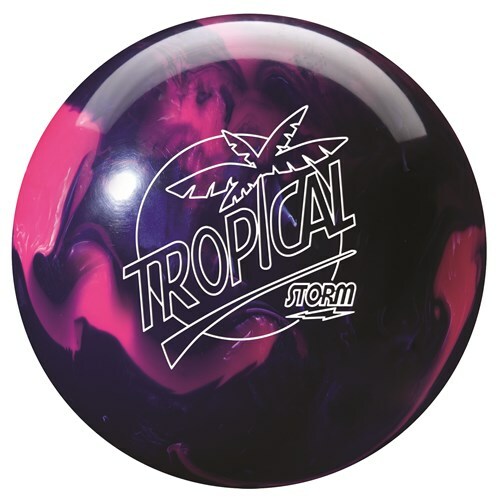 Now I am ready to go up to a heavier ball and I am going to get another tropical breeze....I have recommended this ball to several of my friends and they have purchased it also...I love Storm products!!!!! This ball caught my eye the first time i saw it. The colors are bright the weight is perfect. What i use in my ball is just regular finger tips so you can actually use the ball to its best potential. It rolls off so naturally and feels so smooth. it has an easy clean surface (which is nice, then you can get the oil off better). i recommend this ball for any league bowler and anyone who is looking for a new ball. Breaks more than I thought it would. I disagree with one of the reviews left here that said this ball doesn't hook at all. My friend and I are both female, 190+ avg bowlers. We both bought this ball for spares, but the ball breaks much more than we thought it would, so we use it as our strike balls. I often have to flatten it out to keep it from breaking. I really love this ball! Maybe that other reviewer was throwing a 10lb ball at 18mph? My daughter's first finger tip ball and it reacts very well. I have purchased from you three times so far and we'll be purchasing a lot more in the future.?? Good as a first ball... fingertipped with grips. Colorful and stylish. Storm product. Fits my purpose as a straight 10 pin spare ball. Bought this for my 10 pin ball only. For that purpose it works as a straight spare ball. It does not move at all on any amount of oil, this should only be used as a straight/spare ball, or when the lanes are bone dry and wore down. The scented thing storm does with the balls is stupid, Fyi Roto Grip brand is owned by Storm also, and they do not scent their balls. If the scent bothers you, go with a Roto Grip ball, same quality, only a different name and no scent to constantly smell. Do these balls have a breast cancer ribbon on them like the Tropical Breeze ones did? Hello Jacque! No, these do not have a breast cancer ribbon. I actually don't recall those being on the Tropical Breeze balls. That might have been a limited time offer that Storm did. This ball is not plastic. It has a Reactor Reactive coverstock which makes this a performance ball. It is in the entry level performance category so the hook potential is not high but it is a great starter ball for someone learning how to throw a hook. This should be a good ball for you. Check out some of our mid performance balls as well. Hello Rose. This ball can be used by anyone. This is an entry level ball and can be used for bowlers that have lower ball speeds. Does it do well for someone that bowls straight? Hi! This ball is not plastic/spare ball. It has a Reactor Reactive coverstock which makes this a performance ball. It is in the entry level performance category so the hook potential is not high but it is a great starter ball for someone learning how to throw a hook. What is a pin top weight? I throw a backup ball...will this ball work for me? 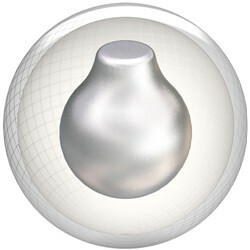 This will be perfect for a backup ball! Does this ball have a fragrance? Hello! This ball is scented to smell like birthday cake! This ball is performs better on lighter oiled lanes. You can request for this information at the end of the order page int he "special comments" box. And the core for the 10lbs will be a generic core. Is it a 10 pound? Cause this came up when i searched up 10 pound bowling balls. We do offer this in a 10 pound ball as of now. This is a closeout item and the weights will be limited. Does this bowling ball hook. Due to the time it takes to produce the Storm Tropical Breeze Pink/Purple ball it will ship in immediately. We cannot ship this ball outside the United States.